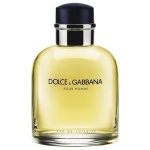 Dolce & Gabanna Classsique Fragrance for Men is a stylish and characterful fragrance that is also stimulating and dynamic. Dolce & Gabbana For Men is a masculine and assertive fragrance that feels like a luxurious fragrance suit. The initial burst of this masculine and stylish fragrance is fresh and aromatic with citrus notes of bergamot, tangerine, orange and lemon, tempered by lavender and the herbs of sage and tarragon. The body of the fragrance is given by the intense undertones of sandalwood, cardamom, tobacco, musk Tonka Bean and rich black pepper. Domenico Dolce and Stefano Gabbana have dedicated their classic perfume, Dolce&Gabbana Pour Homme, to the elegance and style of the Italian man. Dolce & Gabbana Pour Homme is a unique mix of aromatic and zesty notes, seamlessly blended into a velvety soft, subtle and refined fragrance for men.